Though Indians use Peanuts in various manners-in spices, oil and many more,it has a special significance for fasting because of its nutritional values and its most popular form is Peanut Chikki. 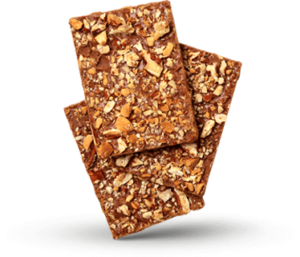 While fasting eating some Peanut Chikki can fulfill your nutritional requirement of the day as well! 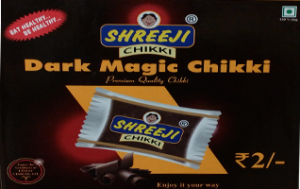 Chocolate, Jaggery, Sugar, Liquid Glucose, Contains Added Flavors. 1 kg X 18 = 18 kgs. Every piece is packed in a Food grade Polly Pack (Maintaining the original taste & quality of the product until opened) and then in to an outer corrugated box with color indications.